"Whether installed as a stand-alone, or to beautify the interior of your outdoor shower enclosure, this shower will make you feel right at home"
The “Solltile” Outdoor Shower Collection offers more contemporary style than the “Theme” outdoor shower kits. Made from modern finishes and the hidden soap and shampoo holder achieves a cleaner look. 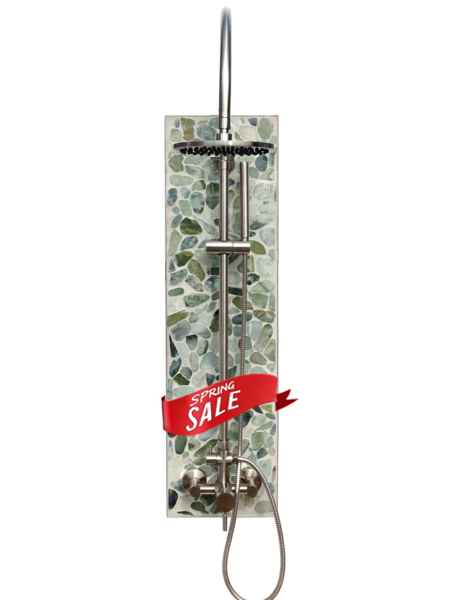 With big visual looks, this shower is a must to adorn any outdoor shower area, especially enclosures. 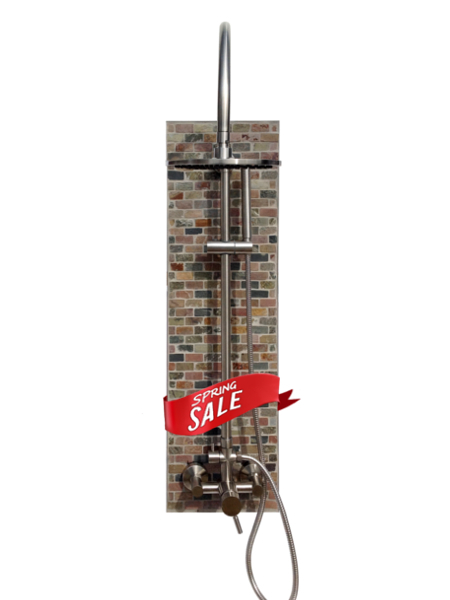 Use as a stand alone shower to creative a stylish outdoor pool shower. 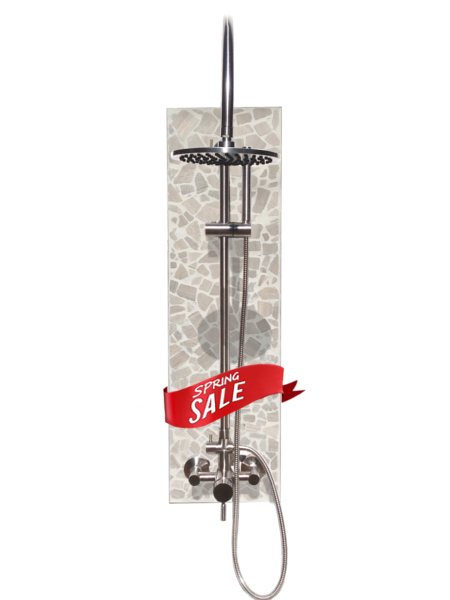 An attached a stainless steel fixture, SunRinse Showers will deliver many years of outdoor shower enjoyment. The Solltile backbone is made with a water proof outdoor rated substrate and natural materials such as, glass tile, cut stone and slate. Ready to install straight from the box. SunRinse Showers include all the hardware you need. The outdoor shower fixture is easily drained, or the entire panel can be easily removed for winter storage if needed. 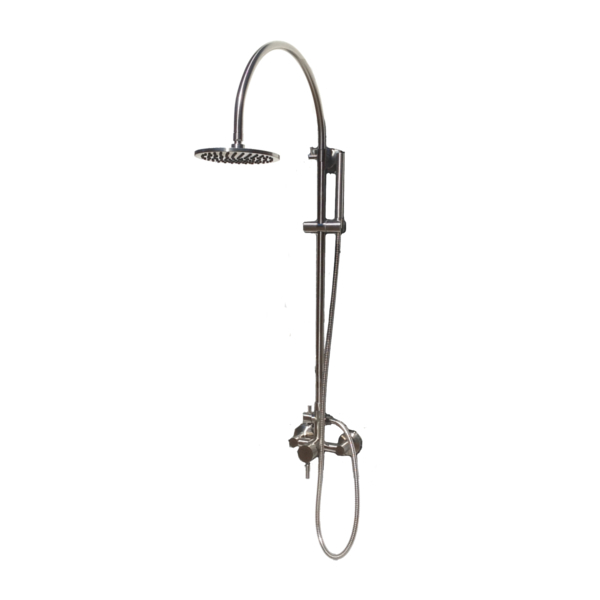 Very easy to install, all plumbing connections and hardware included. 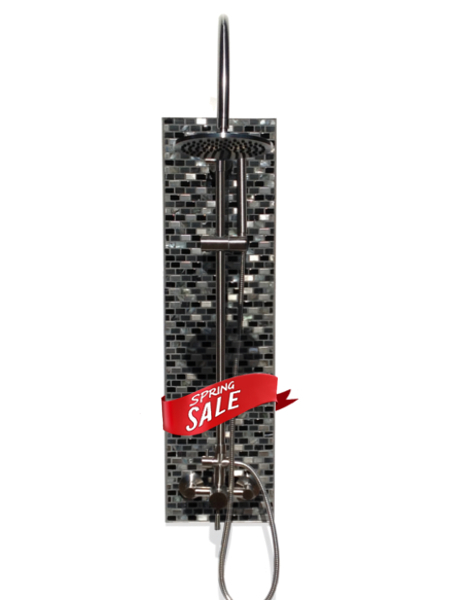 Add a portable, tank-less hot water heater to your shower for a luxurious warm up without expensive plumbing! SunRinse has done everything possible to make installation fast and Easy Save Time and Money!